We've got a lot of babies entering our life right now -- is two a lot? Before Christmas a friend of mine gave birth to her second little girl, and so I gladly went shopping to pick out a cute tiny outfit for her. I grabbed this short sleeved kimono body suit from aden + anais, and a blanket toy from Happy Horse for her to sleep with -- this same friend of mine bought my son a little donkey when he was born and it is now one of his favourite stuffed toys, I hope I returned the favour. And, bonus, both items are perfect if you are looking for a gender neutral gift. Because of the direction that I am taking my life right now, I wanted to start collecting nail polish that is better for my health -- I recently learned that cuticles are quite porous, and the chemicals in nail polish are soaked up by them. Given that many large batch nail polish companies need to use those chemicals in order to preserve their product, I decided to check out some different companies -- who's prices and products are quite comparable -- that are able to make nail polish without all of the chemicals. While I have used some great local polishes that I enjoy -- from Pirate Polish and Sisturz Artisan Polish -- I recently picked up a polish from a local shop that sells nail polish from a company called Play Laugh Cosmetics. This nail polish is handmade plus a lot of other things -- gluten free, no animal testing, vegan, etc. While the texture is not as glossy as typical nail polish, it still covered my nails nicely. It was a wonderful vibrant colour, and it was really fun to peel off a few days later -- there is no need for nail polish remover. 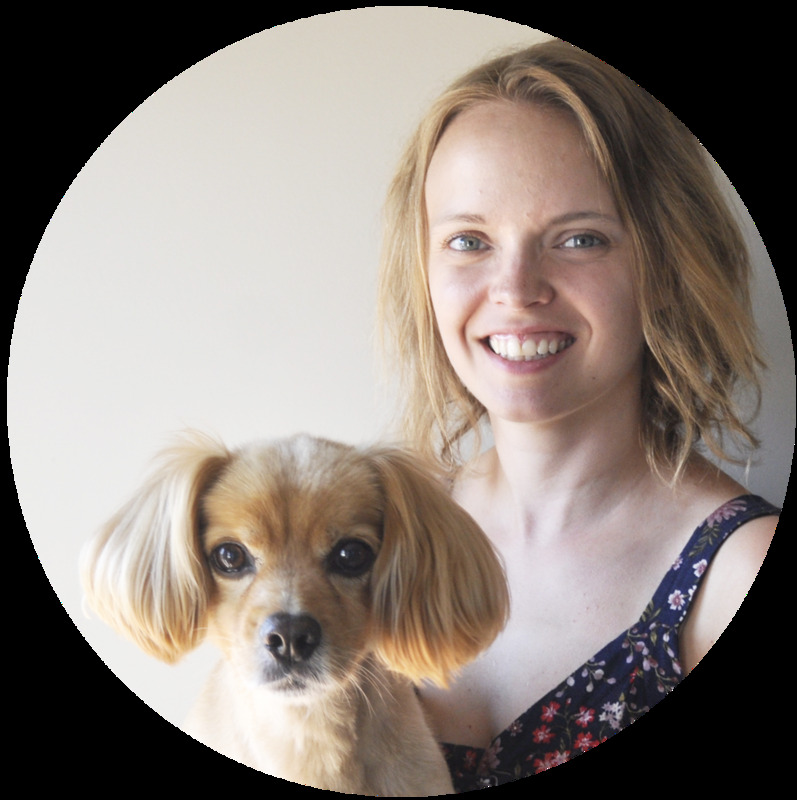 Last week I started a new blog series called 52 Books where I share some of our favourite books to read to our son -- find the first book here. Not only is this series to share some of our favourite books, but it is a way for us to discover new children's books together. The world of children's books is a vast one and I feel like I will never find out about them all, but it's a challenge that I am definitely up for. What are the children's books that you enjoy most, or have enjoyed reading to your children? 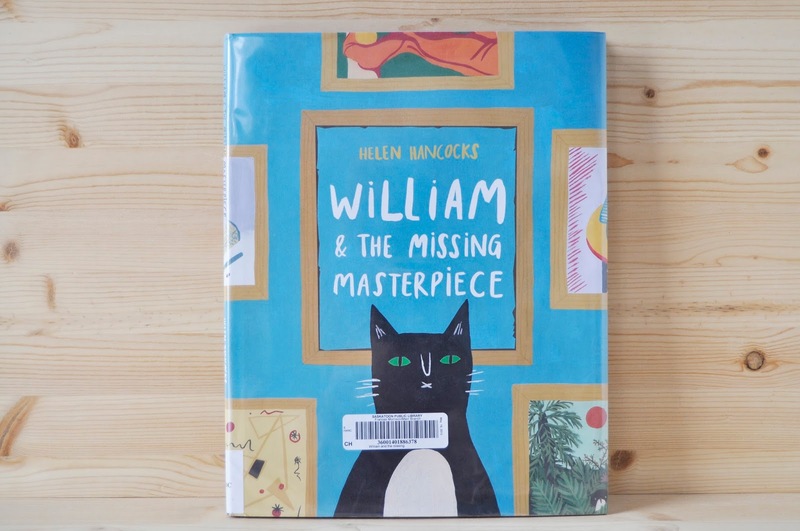 Another one of our recent library discoveries was William & The Missing Masterpiece by Helen Hancocks. This is an absolutely delightful caper about a cat detective that helps a museum find out what happened to one of their most famous paintings -- the Mona Cheesa. The author takes us on an adventure around the city while William discovers clues. It's a pretty fun book, and I highly recommend it if you are a fan of Oliver Jeffers. Today I am starting a new blog series called 52 Books. We love reading books to our son every day, and he's got quite an extensive library of books that I have collected for him over time -- some are even mine and my husband's from our own childhoods -- and I want to share some of our favourite ones with you. That is why I have started the 52 Books blog series, so we can discover the most wonderful books together. Children's books are one of my favourite things, and there are so many amazing and beautiful books out there for them to read. While Little Boy's collection is growing, it is also a lot of fun to go to the library and find new books to look at -- without the added cost. 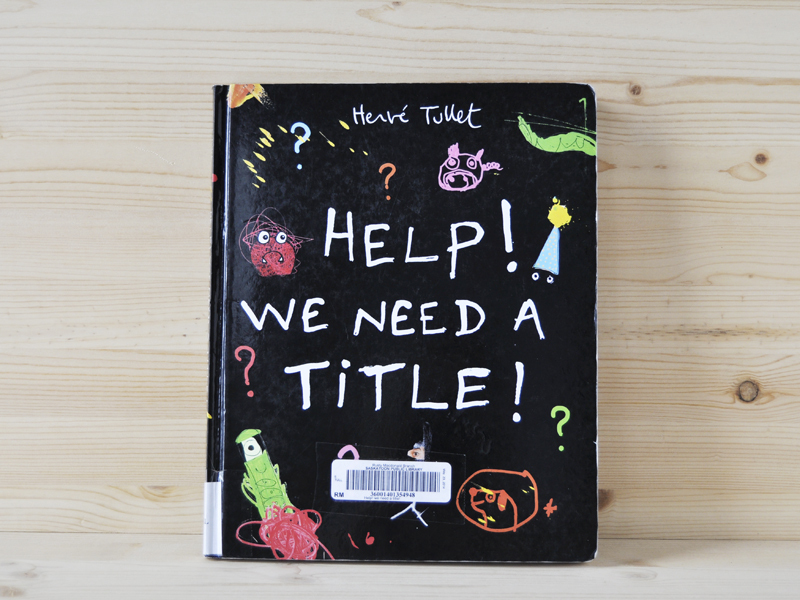 We picked up this Herve Tullet book called Help! We Need A Title! this past weekend on a library date with a friend of mine and her two little girls. We really enjoy Herve Tullet, so I thought it might be fun book to read one night. It is all about how a story is put together, and what is needed to make it all work -- including an author. It is pretty cute, and quite interactive -- but you wouldn't expect any less from Mr. Tullet. 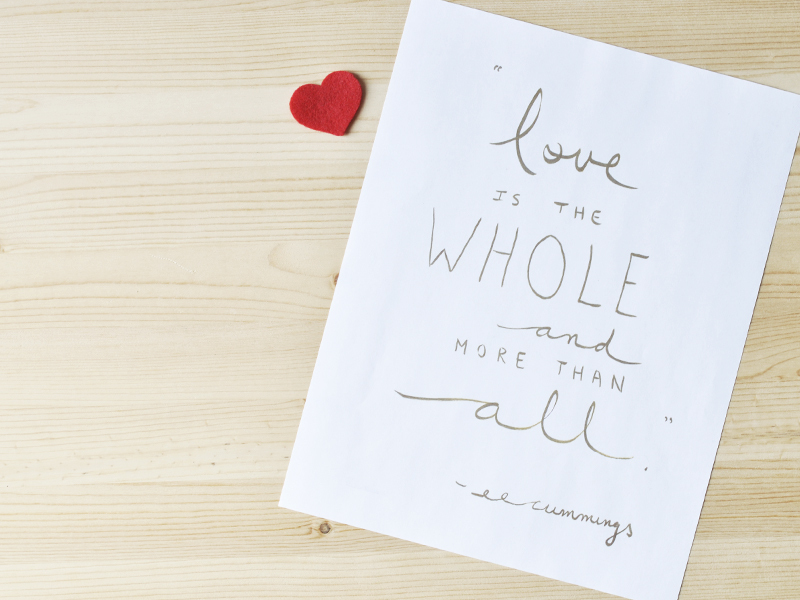 This month's newsletter included a link to a free printable download of this love quotation from a poem by e.e. cummings. I have been a big fan of this specific poet since reading his poem r-p-o-p-h-e-s-s-g-r. Upon finding this quotation, I knew that I had to write it up. It comes from a beautiful poem and the quotation stands well on its own. 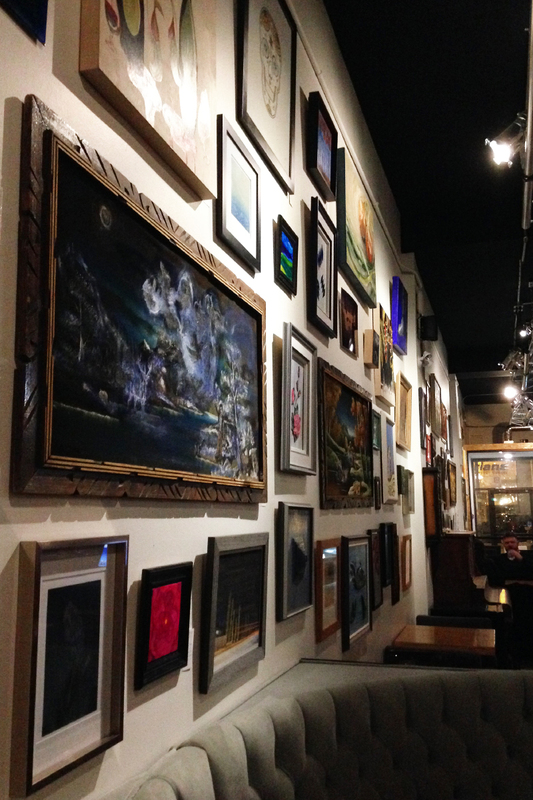 If you missed out on the newsletter this month, fear not! You can sign up for the newsletter here and get the link in March's newsletter -- as I plan on sending it out once more.